Plantscapes Eireann is Ireland's leading landscaping design & garden maintainence company founded 20 yrs ago by Mr Peter Mc Dwyer (Bsc Hort). We are based in Cavan, Ireland covering the countys of Leitrim, Monaghan and also across the border into Fermanagh. 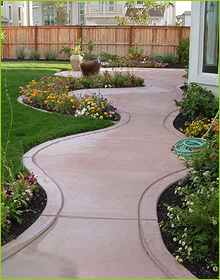 We as landscape contractors pride ourselves on the work that we do for each of our clients. We treat each job as it if were our own. We specialise in all your domestic & commercial outdoor needs including.. Hard & Soft Landscaping, Lawn installation & Maintainence, Sewerage & Land/Garden Drainage. Our primary goal is to provide each of our clients with quality workmanship. Our reputation speaks for itself. We provide Landscaping, Kerbing, Patios, Sewage works & Garden maintaince solutions at a price thats right and affordable to everyone. 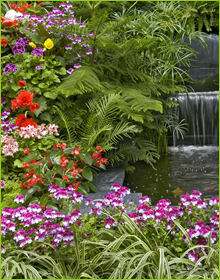 We have an extensive and unique knowledge of horticulure & enviromental preservation. We listen to the dreams & ideas of our clients, Then our Landscape design team can bring those dreams to fruition. To achieve this goal, we work closely with each client to better understand the unique challenges involved on each project . Using the latest in design software - Bsc in Horticulture. Plantscapes Eireann are registered Tree Surgeons. Enjoy your garden and let us take care of it for you. Tired of that big lawn? Let us take care of it for you! A brief synopsis of the services we provoide. Get in touch with us for quotes and any queries you have. “Peter and his crew excelled our expectations with what could be done with our backyard. I have an eye for detail, but Peter's attention to detail is fantastic and I was duly impressed with the way they laid out our lawn & decking, They asked us what we thought on how things were progressing all along the way. “ We contacted Peter after upon seeing the work Plantscapes Eireann do on a neighbours garden project. We were encouraged by his manner & knowledge of the conditions in this area and what would suit in our garden. We liked his decisiveness and recommendations of what would work the best in our garden. When the work began, Peter took care of everything. We did'nt think we had the room for a garden so the kids (& ourselves!) could play and relax, but Peter proved us very wrong,. We are so happy with the work. “Myself and my wife love being outdoors, we love it even more now as we have contracted Plantscapes Eireann to look after and maintain our garden. We are lucky to have Peter looking after our garden maintainence as we sadly dont have time through our work commitments. Every month to the day for 6 or 7 months of the year he takes care of the lawns, shrubs and anything else he sees fit. 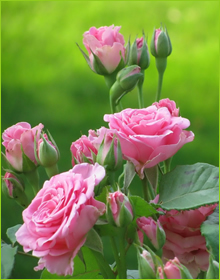 Any suggestions Peter has to further improve our garden and plantings we gladly accept as we trust his knowledge and commitment to us without question - Its great!